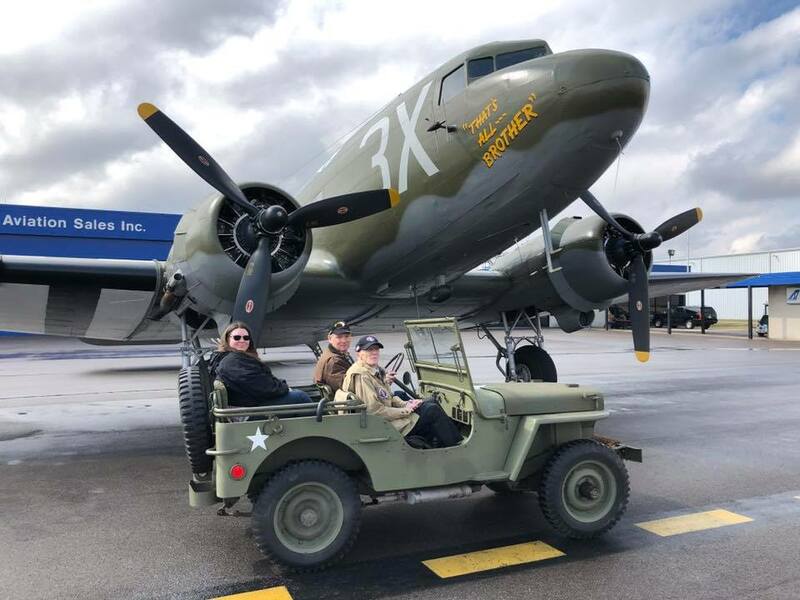 After learning that deteriorating health would prevent Martin, age 97, from making a planned trip to France for the 75th Anniversary of D-Day, volunteers with the Commemorative Air Force (CAF) decided to take the airplane to him. 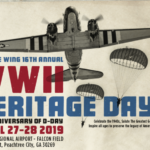 Martin was expected to join the restored C-47 That’s All, Brother along with other vintage aircraft this June as part of the commemorative events. He was especially looking forward to seeing That’s All, Brother. In 2015, Martin helped with a campaign to save the aircraft from being scrapped and supported efforts to restore That’s All, Brother. 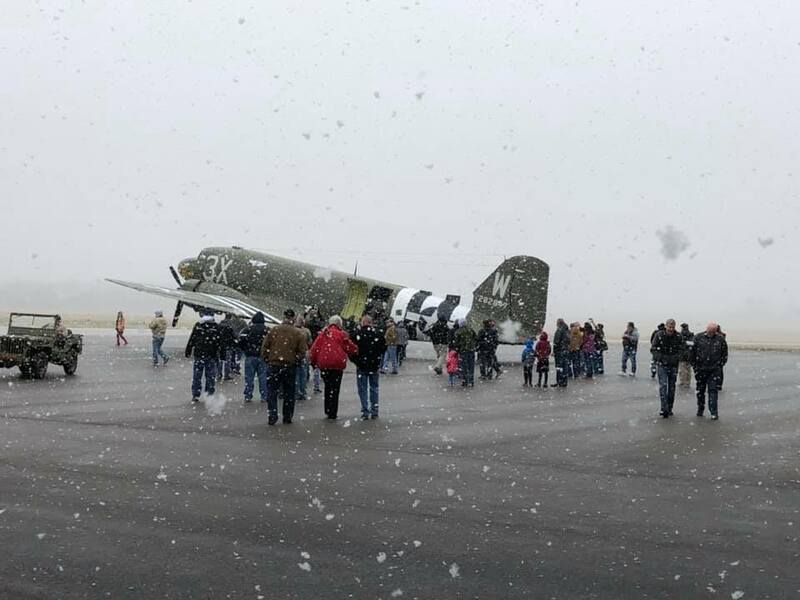 After visiting Martin in Ohio, C-47 That’s All, Brother will tour the country before departing for Europe. Along the way, the aircraft will stop in Louisiana, Florida, Alabama, Georgia, Delaware and will leave from Oxford, Connecticut. This aircraft will be joined by 17 other American C-47s for the crossing of the Atlantic. 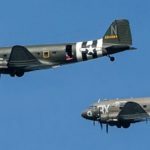 The American fleet of C-47s, known as the D-Day Squadron, has spent years preparing for the epic journey. 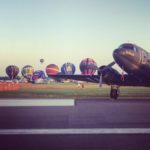 The D-Day Squadron will participate in “Daks Over Normandy” an event that commemorates the Allied invasion of Normandy by flying aircraft from Duxford, England into France with more than 200 paratroopers jumping into the historic drop zones, all wearing WWII era uniforms. 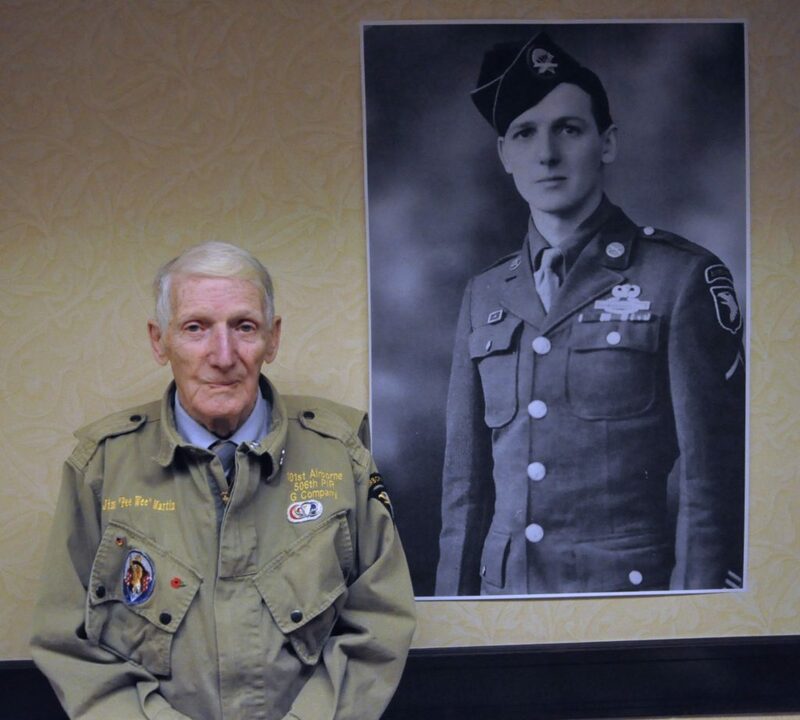 A member of the 101st Airborne, 98-year-old Jim Martin earned his nickname “Pee Wee” as the smallest man in the 506th Parachute Infantry Regiment – the regiment made famous by HBO’s “Band of Brothers.” Martin participated in several historic missions including the Normandy Invasion, Operation Market Garden, and the Battle of the Bulge. Martin is one of the last remaining veterans of the 506th. In 2014, Martin parachuted into France again as part of the 70th anniversary of the D-Day Invasion. 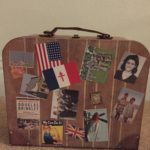 Martin continues to serve as a representative of the veterans of the 101st Airborne Division who are no longer here in order to promote and preserve the legacy and lessons of the Second World War. That’s All, Brother is a C-47 troop carrier aircraft that carried the crew that led the main force of paratroopers into France during the D-Day Invasion on June 6, 1944. After the war, the aircraft was sold as surplus and its contribution to history forgotten. It was discovered by a historian in a boneyard in 2007, destined to be scavenged for parts or converted into a more modern aircraft. The Commemorative Air Force purchased the aircraft in 2015 after a successful Kickstarter campaign and subsequently raised several million dollars to fund a complete restoration of the aircraft to it’s June 6, 1944 configuration. It flew for the first time since its restoration in January of 2018, and will return to France in June 2019 for the commemoration of the 75th anniversary of D-Day. Visit www.thatsallbrother.org for more information.